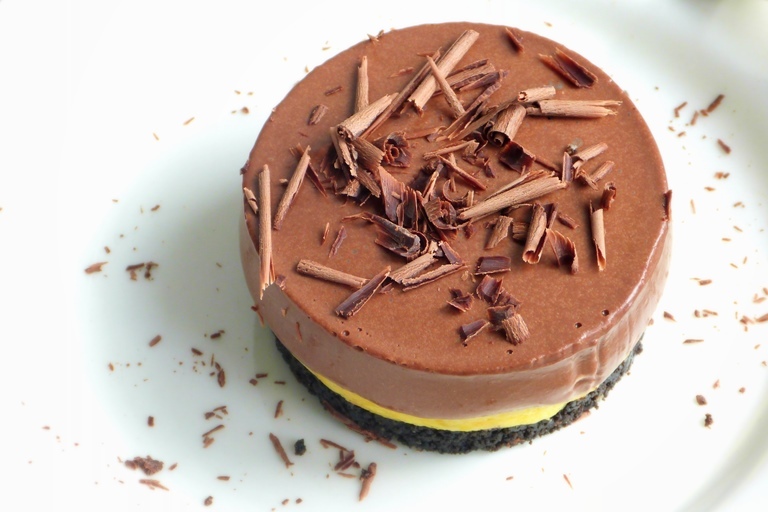 Rukmini’s passion fruit and chocolate bavarois recipe makes a beautifully decadent dessert, with a tangy passion fruit curd preventing an overload of richness from the chocolate bavarois. 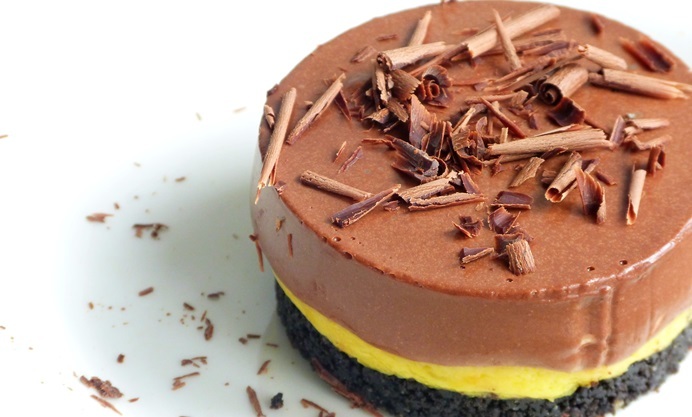 The sharp passion fruit curd contrasts beautifully with the creamy dark chocolate and crunchy biscuit base in this elegant and addictive French dessert. Once you’re confident with the process, you can play around with the recipe, using ginger biscuits as the base, white chocolate in the bavarois, and rhubarb or raspberries in the curd. Just be careful not to try this with a pineapple layer, as it contains an enzyme that breaks down gelatine, which means you’ll be left with pineapple soup. For a vegetarian version, replace the gelatine with the appropriate quantity of agar agar, and sieve the mixture an additional time before placing in the ring moulds.